Are you tired of the costly services that allow you to accept credit cards at your business? Are you exhausted with the bad service and outdated point of sale systems your service keeps delivering to you? Are you interested in obtaining services that are much better geared toward your understanding and your budget? Do you want to work with merchant services that are a one-stop-shop for your business that gives you the best products, personal services, and pricing to make your life more simple? If you are familiar with the scenario above, then you want something better for your business. At Journey Business Solutions, we are a small business and thus we understand your struggles. As a small business owner, we’re members of the community and we know that what fuels your small business is the passion inside of you for what you do. We know you’re doing everything in your power to make sure that your business is running smoothly. Additionally, we understand that you’re on a budget and you don’t have endless resources. Our merchant services are perfect for businesses who are medium, small, or startups and need a one-stop-shop for all of your needs. At Journey Business Solutions, we’re the experienced small business who can guide you with our merchant services, helping you to stay within your budget and – even dare we say – reduce costs, as well as helping you to move through a process that’s smooth and easy. 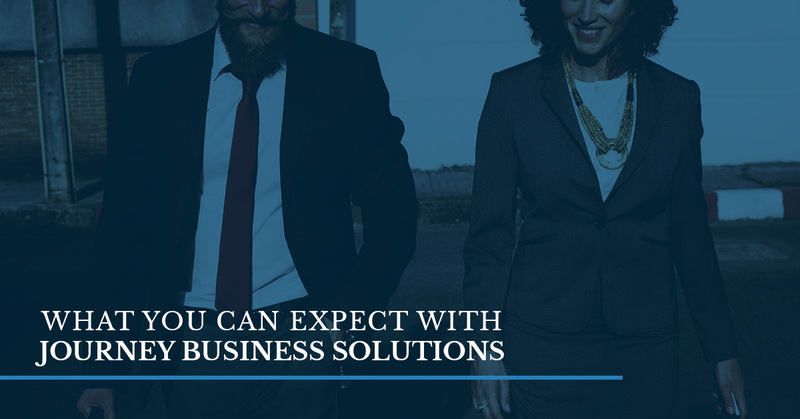 With two decades of experience, Journey Business Solutions has been dealing with medium and small sized businesses who want to have a one-stop-shop for all of their needs. We have been able to develop such services that will allow you to sail smoothly when dealing with retail financing or merchant services. We’ve created the best products, pricing, and personal services, so your business can grow and you can live your life easier. Those questions above can be put out of your mind when you decide to work with your expert team. Just like you, we have a passion for our small business, and just like you, we want to be able to run it easily. We can help you step up to the challenges that are associated with business by making tracking your inventory easier, your marketing effective, and your employee scheduling simpler. Our products are made to help with your payroll and merchant services. By instituting loyalty, passion, and a motivation to help those who are just like us, our business is able to offer your company the ability to run more efficiently. Journey Business Solutions can help with providing your company with primary products to assist you as a business owner as well as merchant services and retail financing, so you only have to work with our business for all of your needs. Additionally, you’ll be able to upgrade your POS system for less than you may already be paying when you decide to go through us for a free installation. As a company that’s been around for two decades, we want to share our long term relationship goals with you and help you create your own, so you become a long term, sustainable company. For all of your credit card processing, payroll, financial needs, and even your website, we can partner with you to help you move forward in your business. When you work with our company, we’ll put your needs first because we care.